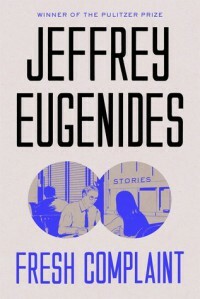 I have a complaint: Jeffrey Eugenides doesn't write enough. Eugenides's first novel was published in 1993. Since then he's written two more novels and this, Fresh Complaint, his collection of short stories. There have been exactly nine years between each novel. So I was excited when, after reading his third novel in 2011, I read in an interview with Eugenides where he said he would not take the normal nine years to publish his next work (I tried to find that article, but was unable to do so). So it only took six years, but if this is the product of six years I am sorely disappointed and genuinely hope that it is not another nine years before the next novel. That's not to say Fresh Complaint is a bad book. It isn't. There are some good stories in this collection. Also, there are some forgettable stories. The culmination of these creates just another “good” story collection. And being merely another “good” collection in an industry where there are many similar “good” collections means Fresh Complaint fails to stand out. What's interesting about the stories in this collection is that they run the length of Eugenides' writing career, from 1988 to the present. I continually looked for growth or distinction between the stories from different eras, but what I discovered is that Eugenides is a consistent writer. His oldest works hold up to his newest. This is a huge compliment. All these are strong in character, language, and dialogue. He constructs such vivid and realistic stories. Strong, vivid, and realistic—these stories are not necessarily achingly beautiful, they do not transcend what we've come to expect from the short story. 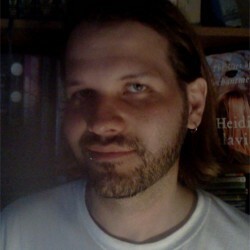 In fact, they're pretty average amongst the award-winning short story writers of the last century. Average isn't bad at all, but it's not great. Still,Fresh Complaint gave me a sampling of one of my favorite contemporary authors. Fingers are crossed that it's only three or four years until his next novel, but I'm not going to get my hopes up yet.